Annual eye exams in San Jose are vital to maintaining your vision and overall health. 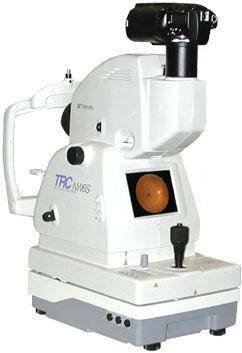 We offer Digital Retinal Imaging as an important part of our eye exams at our eye care clinic in San Jose. The retina is the part of your eye that captures the image of what you are looking at; you can think of it like film in a camera. Each person’s retinal tissue is unique, and the images produced by Digital Retinal Imaging provide eye doctors with a panoramic view to evaluate the health of your retina. Surprisingly, a number of eye problems are asymptomatic in their early stages, so they can develop without you feeling any pain or noticing any changes to your eyesight. Signs of diseases such as macular degeneration, glaucoma, retinal tears or detachments, and other health problems including diabetes and high blood pressure can be seen with a thorough exam of the retina. Detecting eye diseases before they begin to cause symptoms is typically associated with more successful treatment. Digital Retinal Imaging in San Jose is fast, easy, and comfortable for all ages. To have the exam, you simply look into the device one eye at a time and you will see a comfortable flash of light to let you know the image of your retina has been taken. The retinal image is shown immediately on a computer screen so we can review it with you. Please schedule your Digital Retinal Image today! Along with a digital eye chart, the procedure documents results in an electronic medical record for the clinic and streamlines the examination. 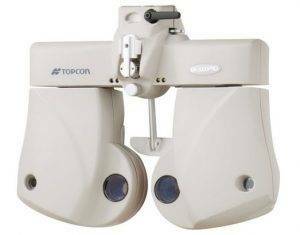 The doctor can control the lenses and letters used on the digital chart electronically with a keypad. The digital eye chart ensures good contrast and clear images to improve the accuracy and reliability of the exam. The doctor controls the lenses and letters used on the digital chart electronically with a keypad. The digital eye chart ensures good contrast and clear images to improve the accuracy and reliability of the exam.